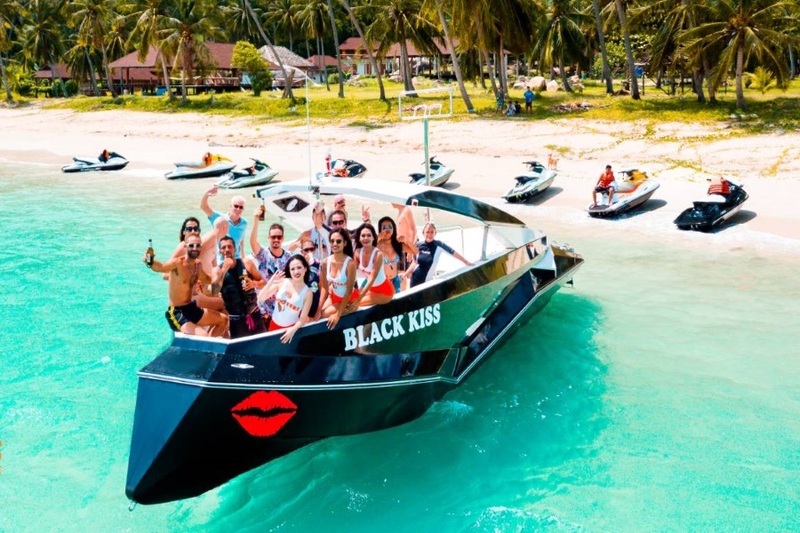 Private and group tours to Koh Phangan, Angthong and Koh Tao by boat "Black Kiss". You will explore hidden beaches, unspoiled jungles and swim in the waterfalls. Snorkeling, fishing, relaxation on the beach and parasailing included in the program. 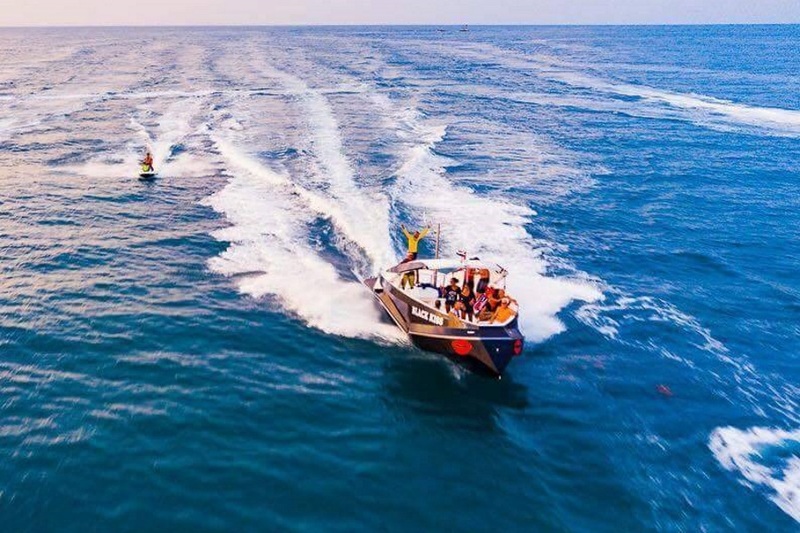 Koh Phangan, Koh Samui, Koh Tao, Angthong. 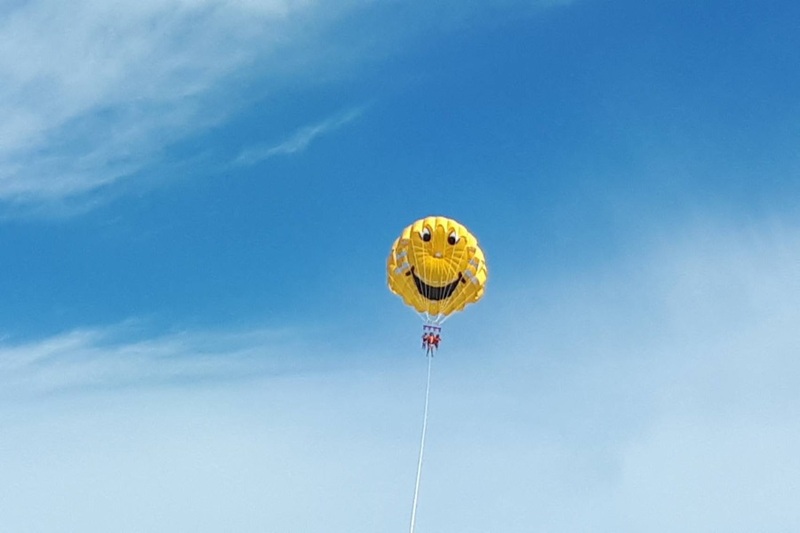 Group up to 12 people. Group up to 12 people. 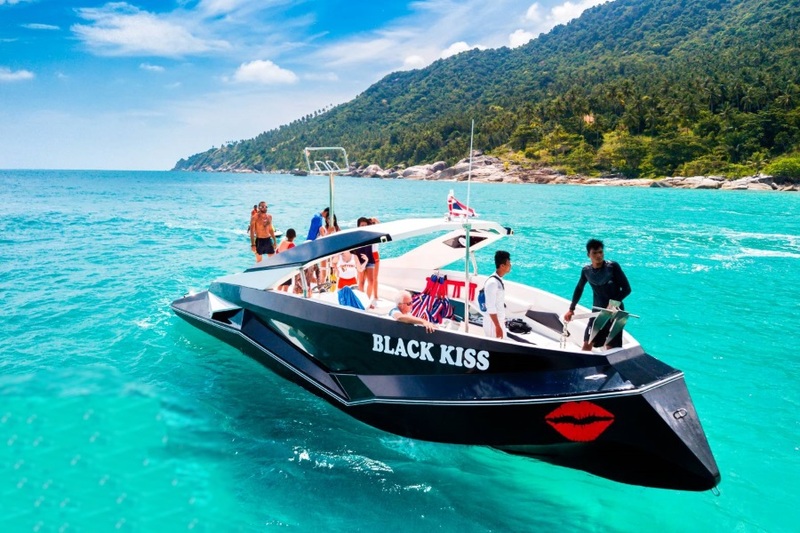 A fashionable ultramodern boat “Black Kiss” offers private and group tours (up to 12 people on board) to Koh Phangan and Angthong National Marine Park. 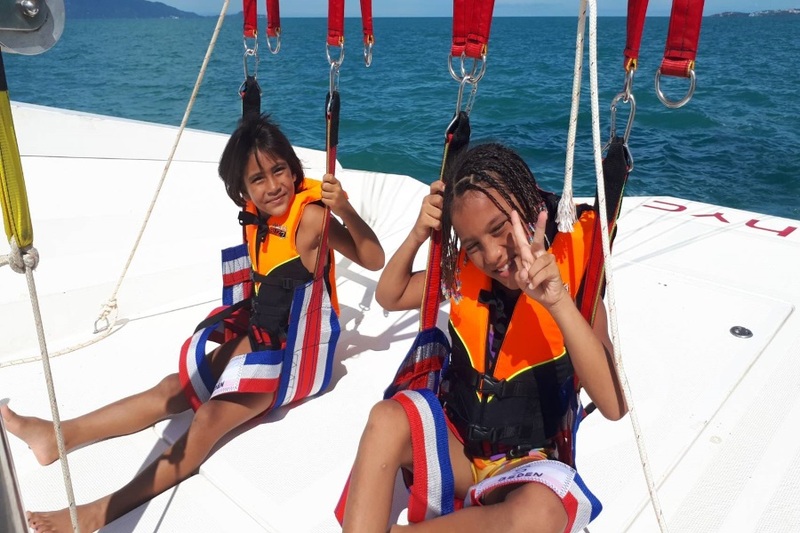 The main feature of the tour is parasailing included for private and group tours (on Koh Phangan or Koh Samui). 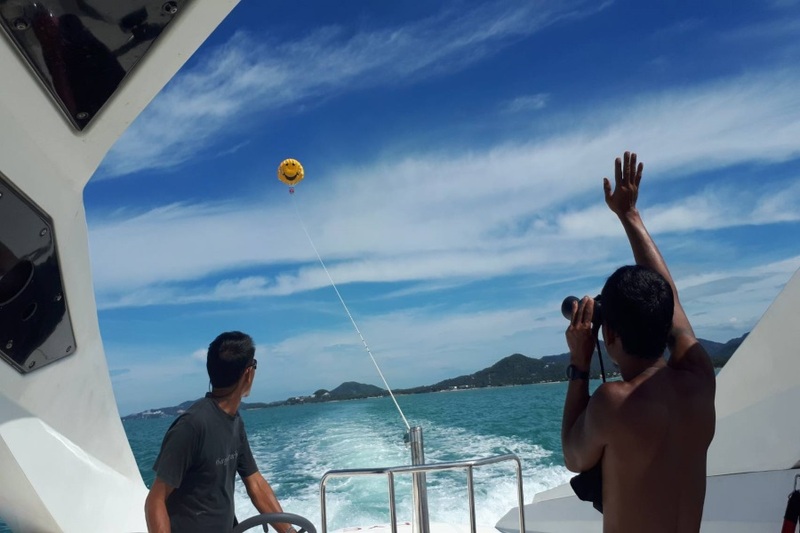 If you go to Angthong, parasailing will take place at the end of the tour, near Koh Samui (as parasailing is prohibited on the territory of the national park). 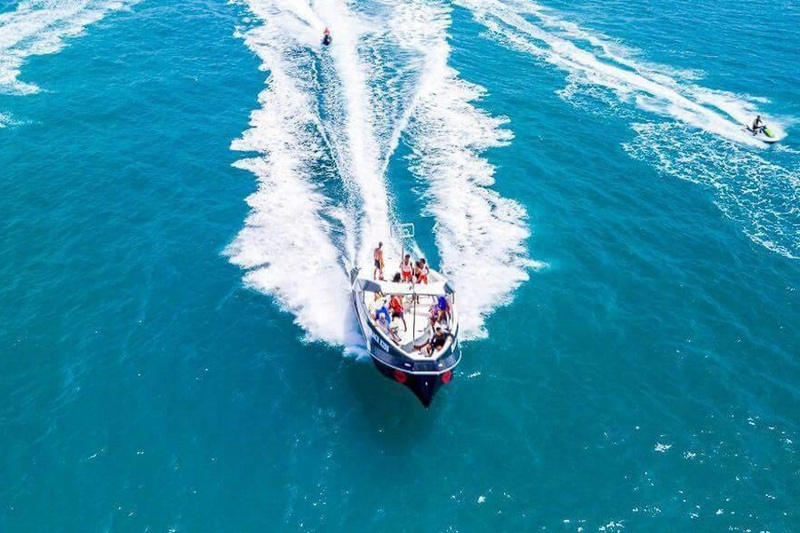 We guarantee you a wonderful service and an unforgettable experience! 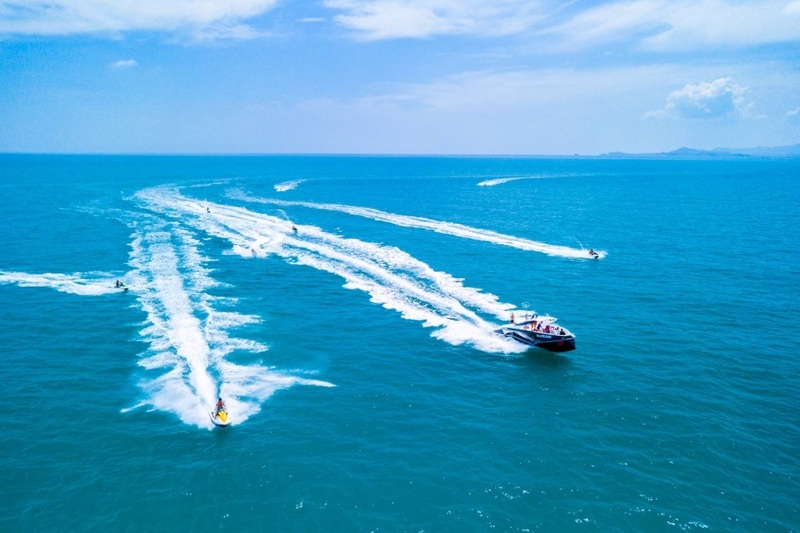 You will cruise on a stylish boat, snorkel at interesting sights and try parasailing! 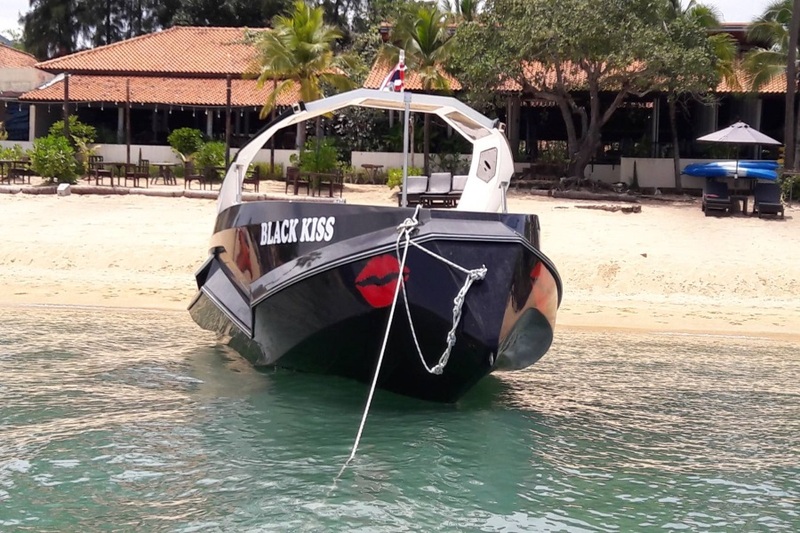 Reviews for "Private and group tours by stylish Black Kiss speedboat"